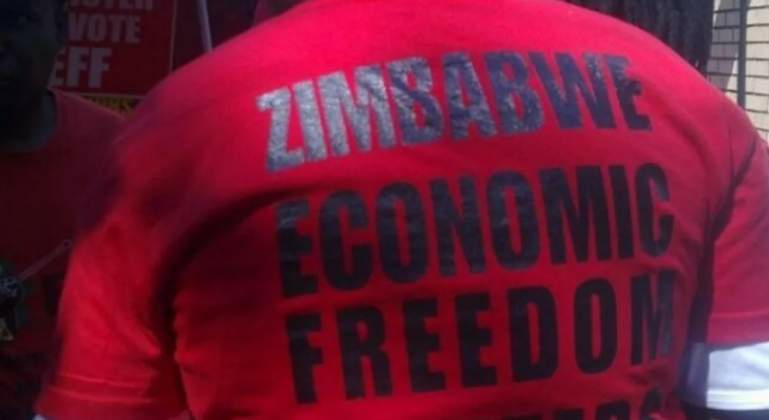 THE opposition Zimbabwe Economic Freedom Fighters (ZEFF) is undertaking its maiden election campaign in Bulawayo's Cowdray Park high-density suburb, where by participating in a local government by-election set for March 25. Twelve political parties are jostling for the ward 24 seat, which fell vacant after MDC Alliance councillor Happyson Ncube died in December 2017. ZEFF was once a civic society group representing the unemployed, the Zimbabwe Unemployment People's Association. It briefly transformed its name to Economic Corruption Freedom Fighters (ECFF) before dumping the name to settle for ZEFF, and it will be represented by Polite Ncube in the by-election. "It is our first time to participate in an election ever since we were formed over five years ago. We are obviously underdogs, but we are getting there and have covered a lot of groundwork, sending out fliers, rolling out roadshows and now conducting door-to-door campaigns," Xolani Tshuma, the party's deputy commander in chief, said. ZEFF is led by United Kingdom-based Innocent Ndibali, who was last year arrested on charges of violating immigration regulations after he addressed an unsanctioned Press club meeting in Bulawayo. Police at the time said by addressing journalists, Ndibali violated his immigration conditions as he was only supposed to be in Zimbabwe on holiday and not politics. "We are quite hopeful of winning the seat," Tshuma added. ZEFF is also involved in the national dialogue initiated by President Emmerson Mnangagwa, but snubbed by the main opposition MDC, among other political parties. More than 12 candidates successfully filed their nomination papers for the ward 28 by–election set for March 25. Local businessman Kidwell Mujuru is representing Zanu-PF, while the MDC Alliance is represented by former councillor, Collet Ndlovu.